Democratic Tennessee Rep. Steve Cohen asked Google to look into its search engine’s “overuse” of conservative news outlets at a hearing on transparency and accountability at Google on Capitol Hill Tuesday. Cohen’s remarks centered on his experience Googling himself following cable news appearances and finding stories about his appearances on outlets like The Daily Caller and Breitbart. Republican lawmakers grilled Google over examples of political bias. Those examples include leaked emails published by The Daily Caller News Foundation that showed the tech giant’s employees debated burying conservative media outlets in Google’s search function as a response to President Donald Trump’s election. The hearing with Pichai was originally scheduled for Dec. 5 but was pushed back because of former President George H.W. Bush’s funeral. 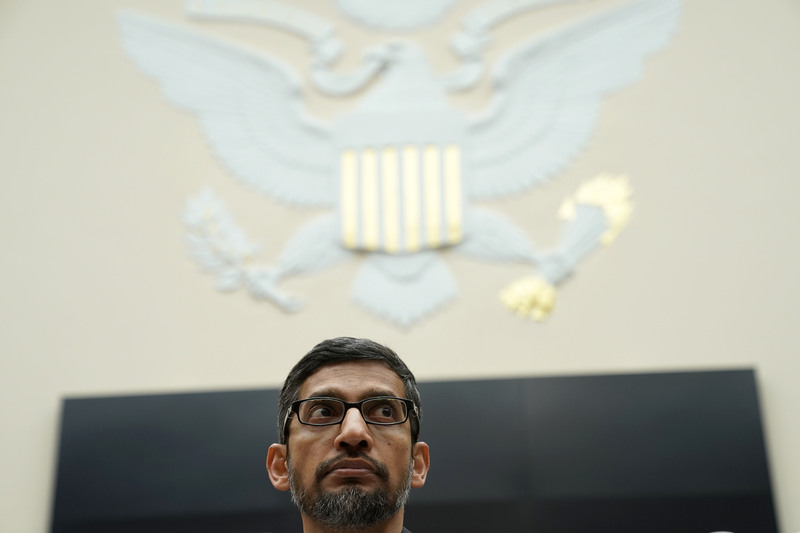 Pichai had received criticism for declining to testify at a Senate Intelligence Committee hearing in September although another Google executive submitted written testimony.